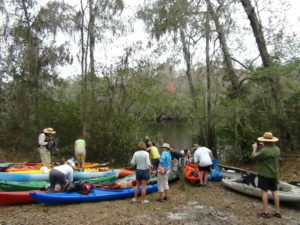 Black Creek is one of those river’s you don’t hear much about, not in paddling circles anyway. 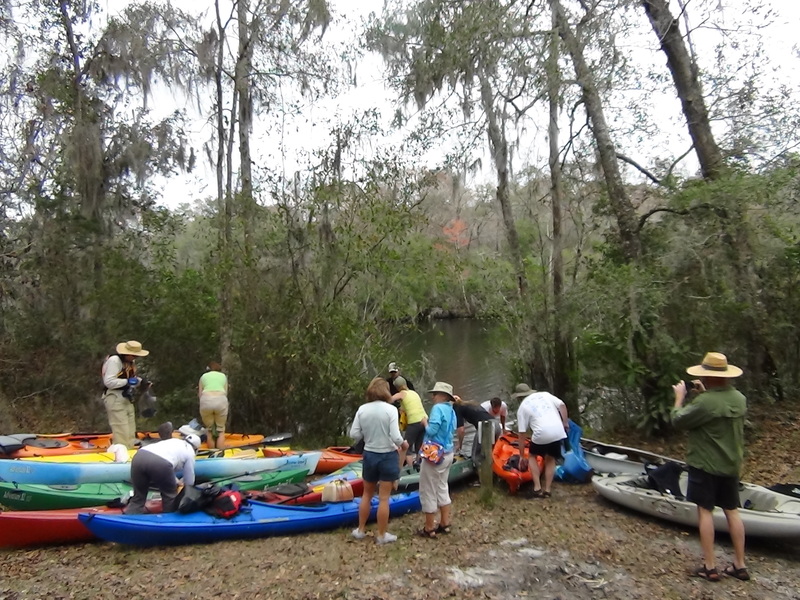 This, in itself, wouldn’t be so unusual if it weren’t for the fact that Black Creek has been one of the most well known, thoroughly explored and important waterways in Florida history. Most of our trips are on the north prong, originating in the Jennings State Forest and going down to the town of Middleburg. This river retains an age-old reputation as a haven for monstrous alligators. Those days are long past. We don’t see many gators, but those we do see are relatively average, ranging between 6 – 10 feet. Other reptiles are equally scarce. Ring-necked snakes and rough green snakes–species we find more typically while hiking than paddling–are sometimes spotted in branches overhanging the water. On one trip in the fall of 1998, our clients were treated to a rare, up close look at a coachwhip snake. Aside from being uncommon, this encounter also revealed how many blackberry briers your river guide will endure to introduce our clients to Florida’s amazing wildlife. Did I mention it’s also our fastest snake!? 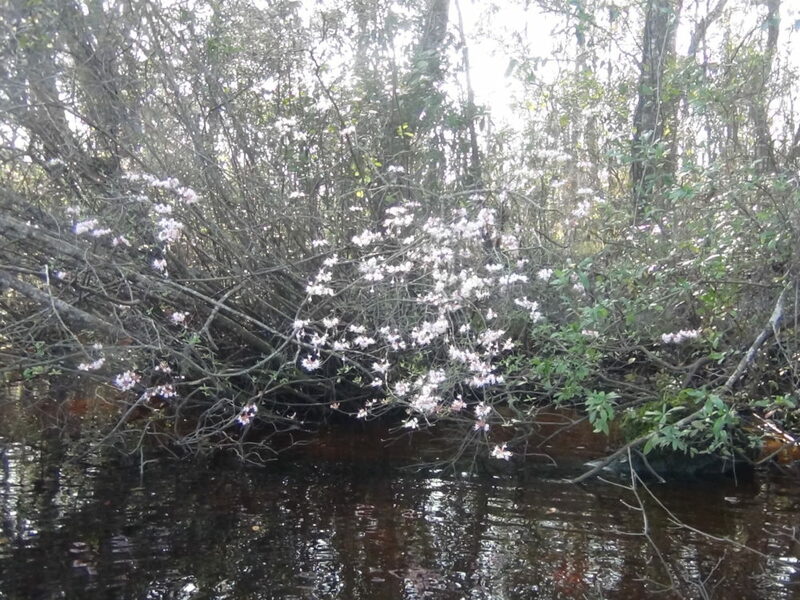 The shore line of Black Creek is an excellent showcase of native varieties of plants we usually associate more with our gardens than wild Florida. Wild roses, native wisteria and swamp dogwoods are some examples. Wild azaleas, such as the one pictured here, are among the most fragrant wildflowers in Florida. While the domestic azaleas that adorn a huge percentage of Florida landscapes (especially in older neighborhoods) have larger, more colorful flowers, they have no fragrance. That quality was lost when they selectively bred the plants to get varieties with showy blooms. Nyssa, the genus name of Tupelo trees, is a Swedish word for a Troll. When standing alone on the riverbank, the short, stout trunks and long, gnarled branches of these trees give them a rather troll-like appearance. 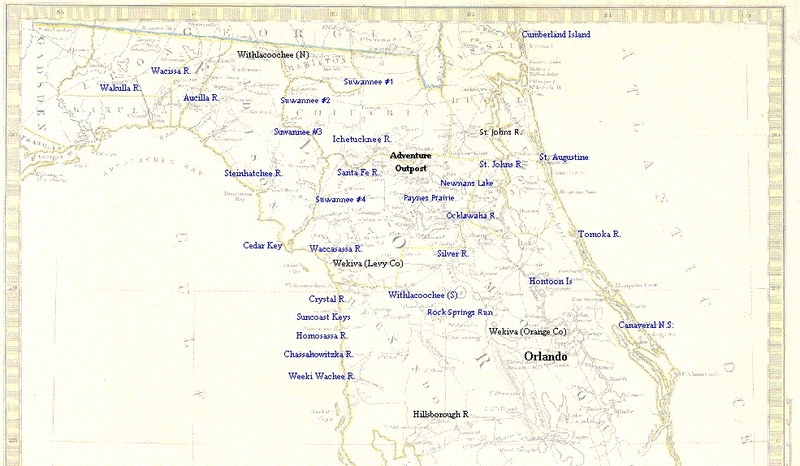 In Florida, there are many place names which are of Creek Indian origin, but not many plants. Tupelo is one of them. 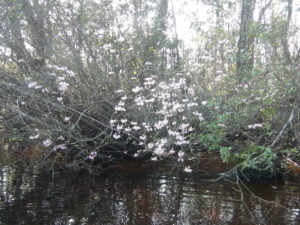 It is derived from their word topilwa, or “swamp tree.” Ogechee is the name of a river in Georgia. In the fall, the small, 1 – 1.5 inch fruits, the “limes” for which the plant was nicknamed “Ogechee lime”, turn a beautiful scarlet color that add a beautiful element to the autumn forests. For local Indians, who called it White River, this waterway was an important route for travel and commerce. 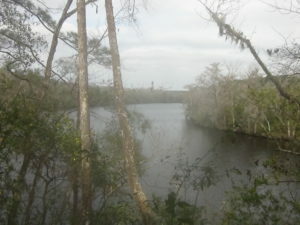 During the Second Seminole War, the U.S. Army established a supply depot and military headquarters at the “fork” where north prong and south prong meet. Named Ft. Heilman, this fort was to become one of the most important in the seven year war. The town which grew from Ft. Heilman was named Middleburg. With an exceptionally deep channel, Middleburg became developed into a port as the steamboat era came to life on the St. Johns River, into which Black Creek flows. This is an easy out-and-back paddle, suitable for all skill levels.